Written by 2016 POP Intern, Lucia Kearney. Despite their reputation as a weed tree, many people in both urban and rural environments have very fond childhood memories of mulberries! My own past is filled deliciously with mulberries. When I was a kid, my parents worked in Manayunk. 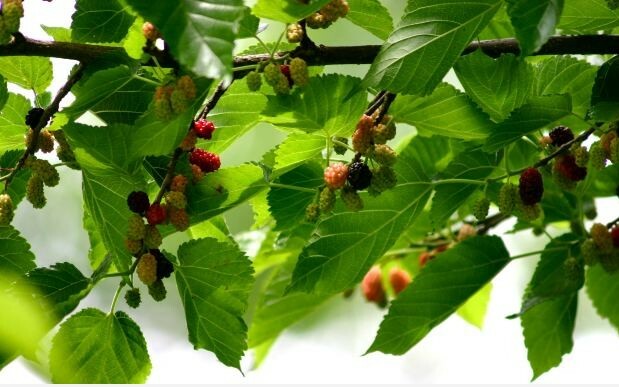 On days when there was no school, I’d go to work with them, and in the summertime I was always happy to see the mulberry tree growing by the parking lot. At their office picnic in Chestnut Hill, there was mulberry tree in the front yard where my brother and scores of other office kids and I would stuff ourselves full of fruit. There was a mulberry tree in our neighbor’s yard when we moved to the suburbs, and mulberry trees by Henderson Field. Needless to say, mulberries are something that I look forward to and thoroughly enjoy every year. 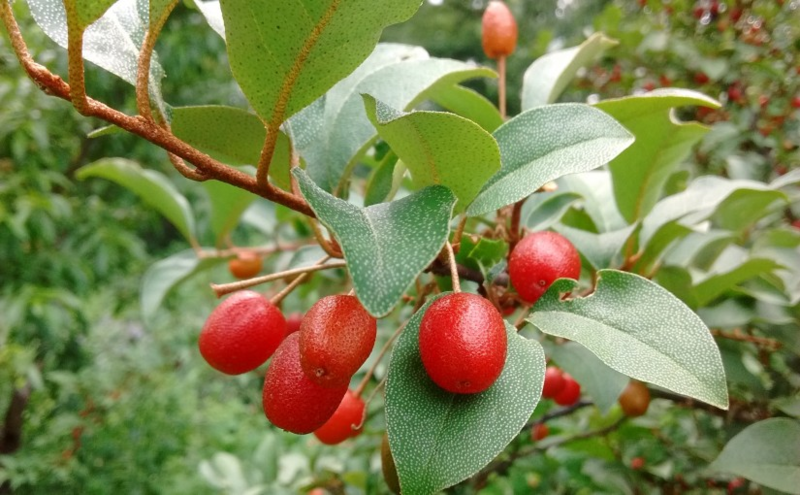 Mulberries are a temperate and subtropical group of trees and shrubs – just walking around Philadelphia, you’re sure to encounter several different species. White or Common Mulberries (Morus alba) originate from China, Black Mulberries (Morus nigra) from Western Asia, Russian Mulberries (Morus alba ‘Tatarica’) from Northern China, and Red Mulberries (Morus rubra) come from the Eastern United States. Many of the mulberry trees found in the city are wild seedlings that are a cross between White and Red Mulberry species. Mulberries and people have been pals for a long long time; they actually figure prominently in a Babylonian myth about the tragic lovers Pyramus and Thisbe. In a story of forbidden love very similar to that of Romeo and Juliet, Pyramus and Thisbe, forbidden by their families to marry, agree to meet beneath a mulberry tree. Thisbe arrives first, but flees after seeing a lioness, mouth bloody from a recent kill, accidentally leaving her veil behind. 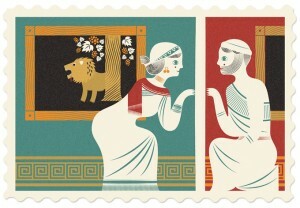 Pyramus, arriving later, sees veil and bloody-mouthed lion and, assuming that Thisbe has been eaten, kills himself. Thisbe returns to the scene to find the body of Pyramus, and kills herself out of grief. Their blood is said to have stained the previously white fruit red. Mulberries are generally irregularly shaped, bushy-headed trees, with trunks that often lean. Size depends largely on the species – White Mulberries are usually 30 to 50 feet in height and Red Mulberries can reach as high as 70 feet. Black Mulberries tend to be much smaller, occasionally reaching 30 feet in height. Longevity varies as well; while Black Mulberries can bear fruit for hundreds of years, Red Mulberries rarely make it past 75 years. Leaves are alternate, heart-shaped, or lobed, with what looks like serrated edges and pointed tips. Flowers often go unnoticed unless you’re looking for them – they are small and feathery and roughly resemble the fruit that they’ll go onto produce. 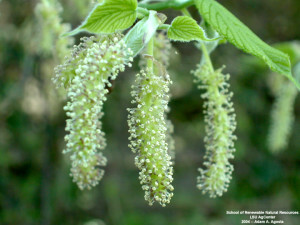 Some varieties are dioecious (meaning that trees are either male or female) while others are monoecious (meaning trees have both male and female parts). 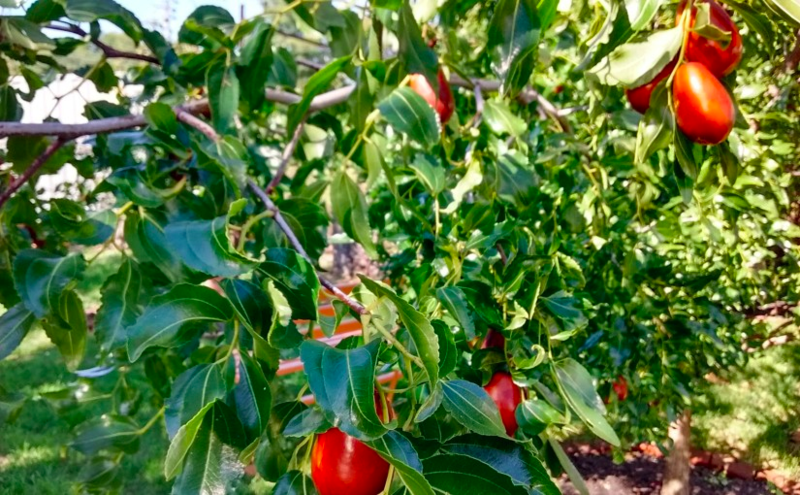 Trees are wind-pollinated, no cross-pollination is necessary, and some cultivars will set fruit without any pollination at all. Fruits also vary in color, size, and ripening time. Confusingly, the color of the fruit does not reliably identify the species; White Mulberries (in spite of the story of Thisbe and Pyramus) can have white, lavender, or black fruit; Red Mulberries are deep red to almost black, and Black Mulberries are usually large, dark, and juicy. 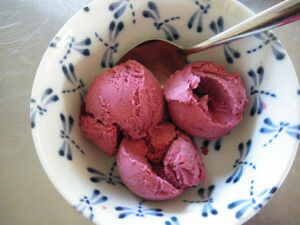 Berries tend to resemble raspberries and blackberries in form, though they are generally longer and narrower. 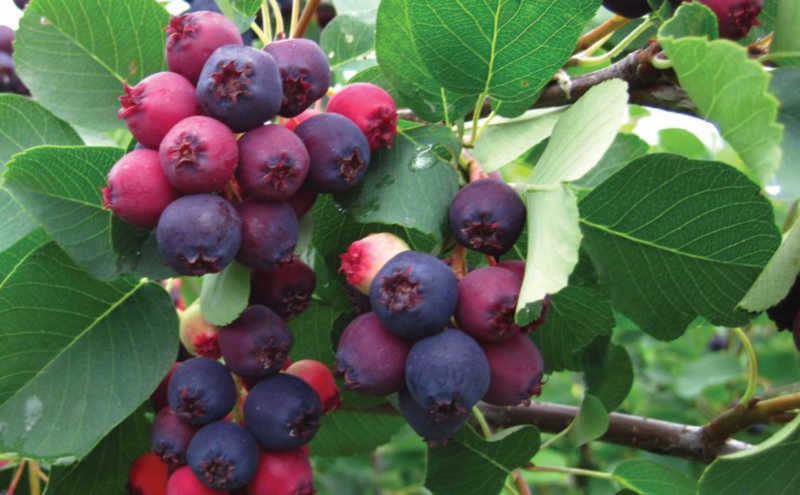 The Himalayan Mulberry – which I’m dying to try – produces berries that can reach several inches in length! White and Red Mulberries ripen in late spring, while Black mulberries ripen in summer to late summer. All mulberries ripen over a period of around six weeks rather than all at once, which is good news for us mulberry lovers. 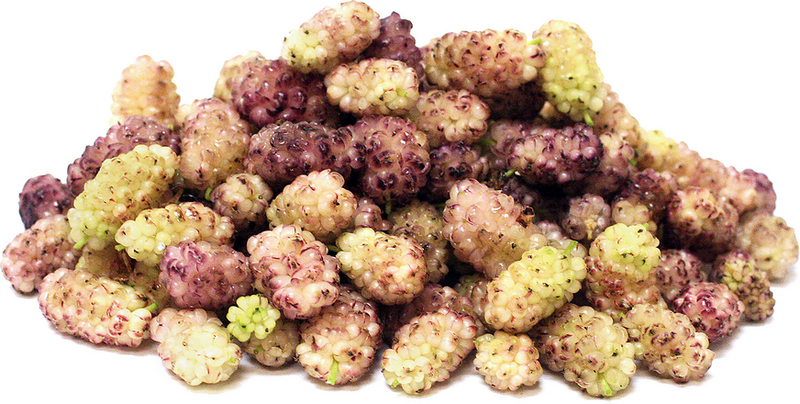 White Mulberries can bear white, lavender, or even black fruit! Red Mulberry fruit can be red or black. 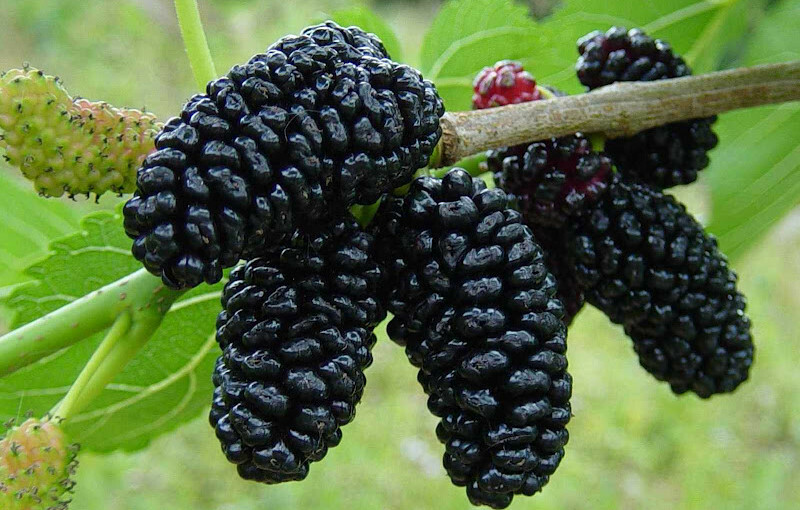 Black Mulberry fruit is usually aptly named! Mulberries are actually the sweetest of all fruit! Fruits can be eaten raw or cooked, and can also be made into wine, cordials, jams, tarts, cobblers, or tossed onto oatmeal or cooked into pancakes. Fruits can also be dried, and made into fruit leather if combined with other, more fibrous fruit. 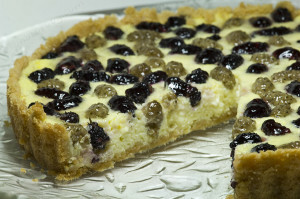 The possibilities are endless; an image search for ‘mulberry recipes’ comes up with dazzling results, I promise you. Be aware that the fruit doesn’t keep long raw – once picked, it should be eaten or cooked within a few days (this is one reason why you don’t generally see mulberries in grocery stores). 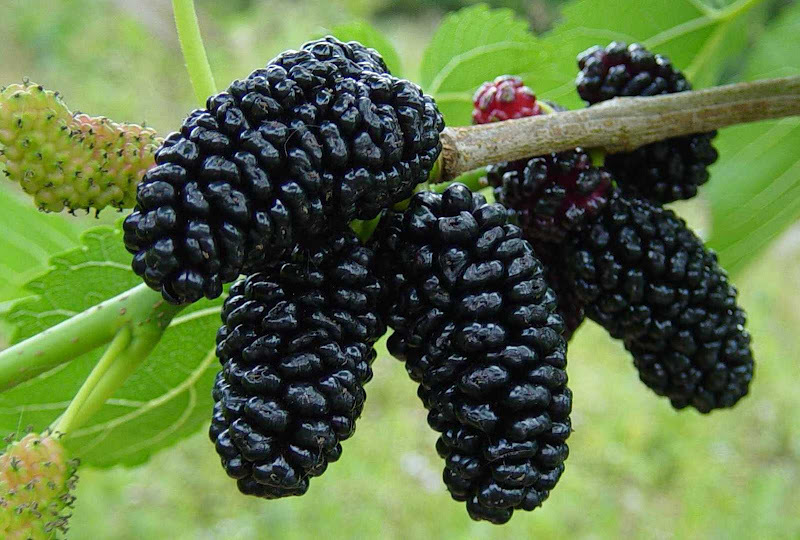 Also take care while picking black mulberries as their juice will stain hands and clothing (and whatever else you get on them) purple; as such, mulberry juice can also be used as a natural dye. In China, mulberry juice is produced commercially on a large scale and is quite popular; the juice stays fresh for several months without preservatives. 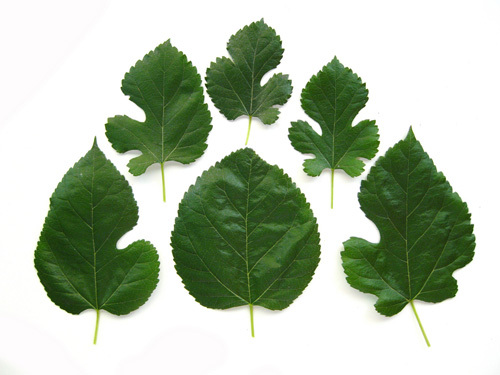 The leaves – when prepared properly – can also be eaten (please read disclaimer at the bottom of this article before consuming any mulberry leaves). 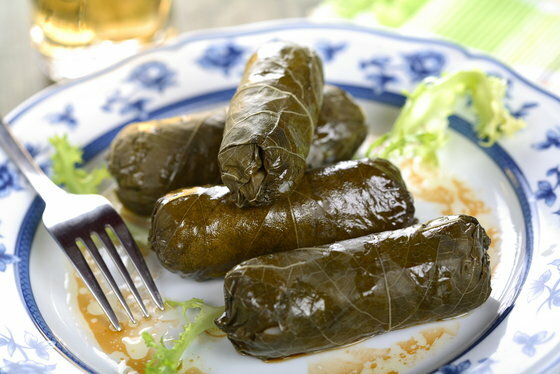 In the Middle East, mulberry leaves are stuffed with ground chicken or lamb. Check out a recipe for chicken stuffed mulberry leaves here. Take note that raw, white mulberry leaves contain toxins that can irritate the stomach and skin, and are said to be slightly hallucinogenic. However, once steamed, the leaves can be safely eaten and used in pies, lasagnas, and salads. Dried mulberry leaf powder – which is high in protein and carbohydrates, and has a distinct, fragrant smell – is used as an additive in buns, bread, cakes, and biscuits in China. A tea can also be made from the dried leaves. The stems and stem powder are also a good medium for mushroom production; wood ear mushrooms and the medicinal fungus Ganoderma lucidum are produced on mulberry logs or powder. All parts of the mulberry contain a milky sap that can be used to make a type of rubber, and several species have fibrous bast fibers beneath the bark that can be used to make rope or paper. 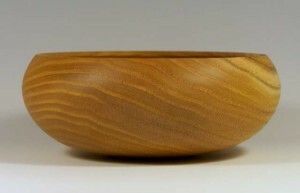 The wood is a deep yellow, hard, strong, durable, flexible, and coarse grained and is valued for carving, inlays in cabinet work, and for the crafting of musical instruments. Birds adore mulberries, so some orchardists plant mulberries as a trap crop to tempt birds away from whatever fruit they’re producing. 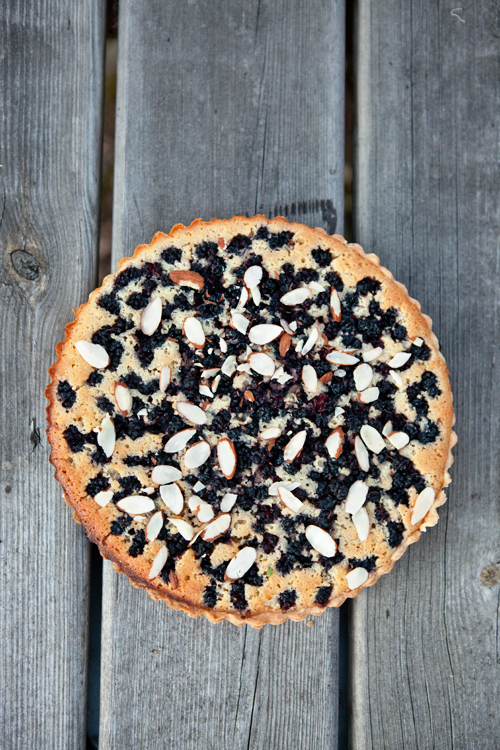 In particular, mulberry fruit season overlaps with that of cherries and blueberries, which are the crops most often lost to birds. 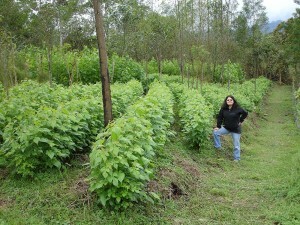 Russian mulberries – which are hardier and whose blossoms are not as easily damaged by high winds – are often used as windbreaks. Mulberries are rich in carotene, and in vitamins B1, B2, and C. In fact, one cup of raw mulberries contains 85% of the daily recommended intake of vitamin C! They are also high in iron, vitamin K1, potassium, and vitamin E. Mulberries also contain anthocyanins, a family of antioxidants that may help to lower cholesterol prevent hard disease, and rutin, a powerful antioxidant that may help to protect against cancer, diabetes, and heart disease. Traditionally, mulberries have been used as a mild laxative. The USDA reports that leaves from the white mulberry tree have been used to treat sore throats, eye infections, and colds. Mulberry leaves are rich in gamma-aminobutylic acid, which is effective in reducing high blood pressure, as well as in alanine, which is useful in easing hangovers. The American Diabetes Association has also noted that mulberry leaves may help to reduce blood sugar levels in people suffering from type-2 diabetes. Considered by some to be a weed tree, it’s not surprising that mulberries are often disease-free and tend to thrive in challenging conditions and poor soils. All species prefer full sun in cooler climates, but will tolerate partial shade. While mulberries prefer moist soil, they are drought resistant once established, and require little to no fertilization. They are also tolerant of groundcover and can grow well with grass beneath. 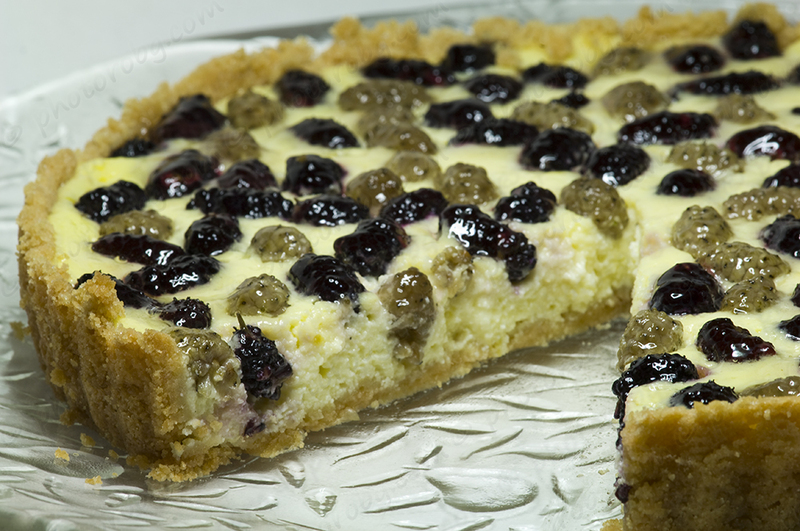 There are named varieties of all species of mulberry selected for their fruit quality. 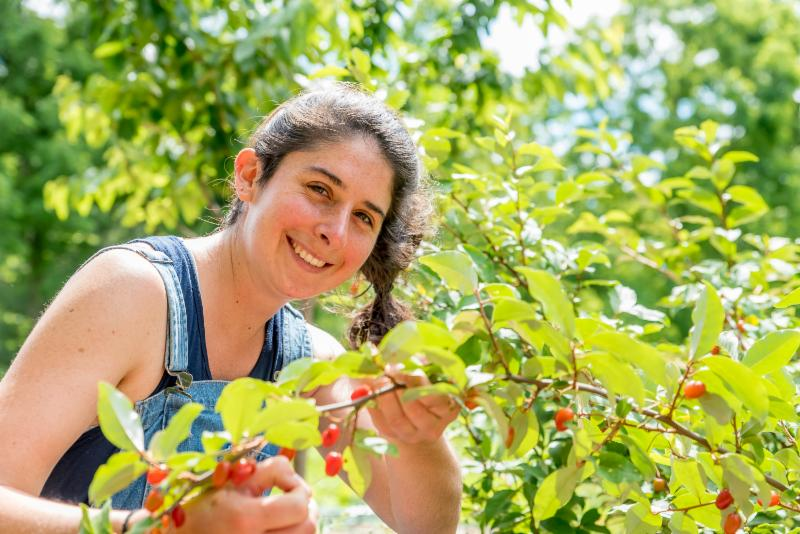 The Philadelphia Orchard Project has primarily planted the variety ‘Illinois Everbearing’, which is known for its large, tasty, seedless fruit and long season of harvest. 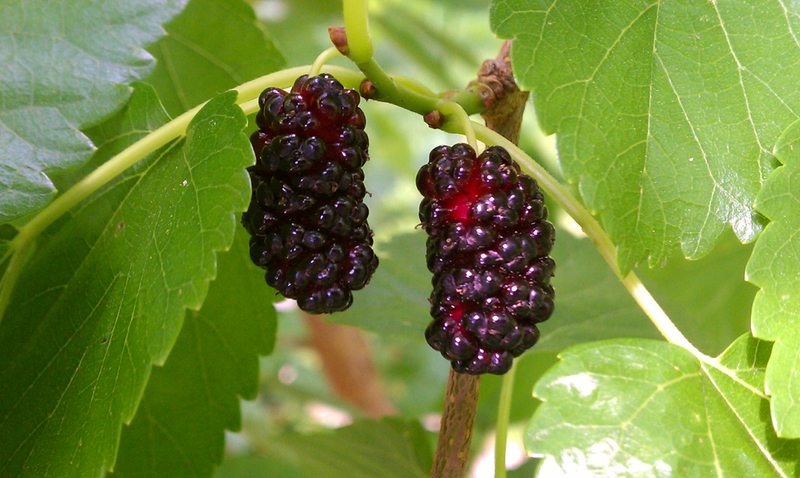 Although Black Mulberries are the species most commonly grown for their fruit around the world, they are only marginally hardy in Philadelphia (zone 7). POP is now experimenting with planting some dwarf varieties of Black Mulberry in more protected locations. 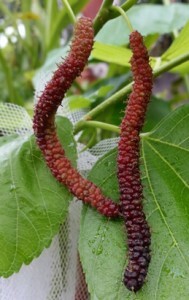 Mulberries can also be propagated via seed – which requires 16 weeks of stratification – or by hardwood cuttings made in the winter, grafting/chip budding, layering, or air layering. Some species can also be propagated from softwood cuttings in the summer. Using mycorrhizal fungi spores as a cuttings dip reportedly increases the success rate of propagation. 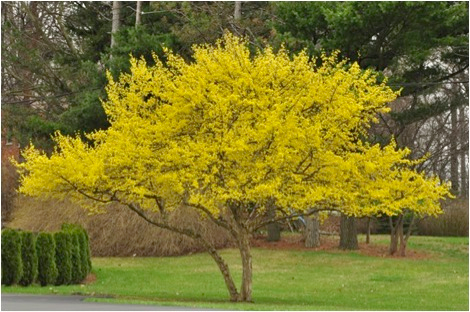 Young trees should be planted between 25-35ft apart in the spring or fall. Some formative pruning can be done in the first few years to establish a strong 4-5 branch framework; otherwise, pruning should only be done to remove dead or crossing branches. Pruning should be done in the wintertime while trees are dormant. If trees are being used as a windbreak, they should be planted 8-20ft apart, and can withstand clipping if needed. 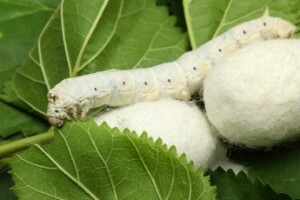 White mulberry leaves can also be grown as a vegetable crop. 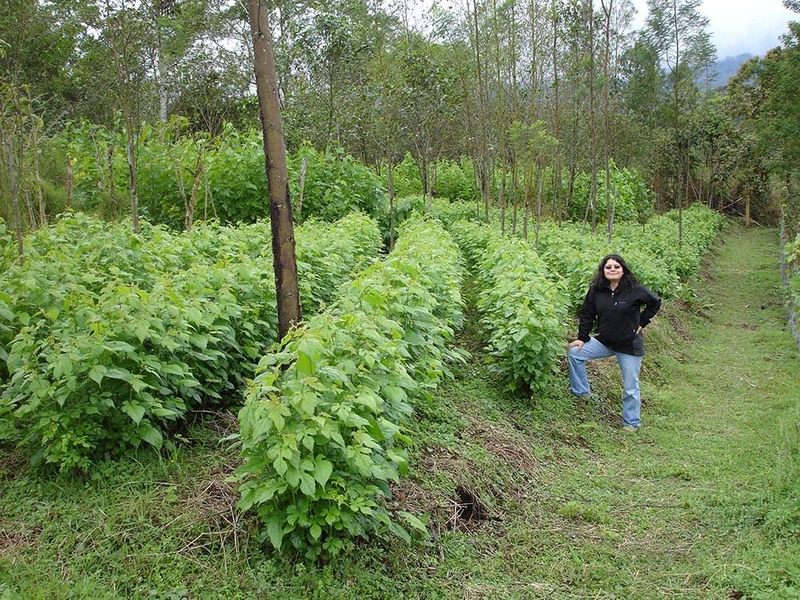 To do this, trees are planted densely in rows and coppiced annually at a height of 2-3 feet. Fresh leaves can then be picked throughout the growing season. 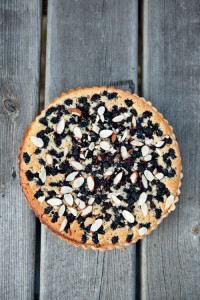 And so this year let’s give thanks for the hardy and abundant mulberry! I’m looking forward to making many more mulberry memories, and I hope you all are too.